Our training is provided by our ORDIT registered traininers Ian Sedgwick, and Garry Commey. All our trainers are well-known and respected by DVSA examiners and qualified ADIs alike, and together over many years in the industry have trained hundreds of people to become qualified ADIs, many of whom are now members of our great team of ADIs. Therefore you will receive personalised training and advice throughout the qualification process. We provide on-line e-learning video training resourses and workbooks, as well as in car tuiton, giving you over 200 hours of training. All in car training is carried out on a one-to-one basis unless trainees specify they want to 'buddy up' and share sessions by observing one another's training. Our trainers also teach learners, and invite their trainees to sit in on and observe them teaching. When you train with ELITE there is no obligation to join our franchise, although we would obviously love for you to join our team. We have established a great reputation as a quality school, and we believe in supporting our instructors to maintain a successful business. We also offer Part 2 and Part 3 rescue training for PDIs that are struggling to qualify (trainees), as well as offering further training to qualified ADIs for the New ADI Standards Test. So how do you become an ADI? The first part of the qualification process is a theory test. You will have one and a half hours to answer 100 multiple choice questions, and then sit the hazard perception test. Both of these elements are computer-based and taken together; they must be passed at the same time otherwise you will need to sit both again. Following an initial induction session we will provide you with FREE access to the ADI training section of our on-line Theory Test Pro software. You will also need to study all of the recommended reading material and PC DVD ROM (see costs below) for you to carry out home study. We also offer unlimited help and support via telephone and e-mail. We will also provide classroom assistance if required. You can start your Part 2 practical training whilst studying for Part 1, once you have Criminal Record Bureau clearance. We are currently developing a seperate website deddicated to ADI training, containing far more information. If you require more information please contact us to speak directly to one of our ADI trainers. The next step in the qualification process is a test that ensures you put into practice the theory learnt in Part 1. Following an eyesight test and five questions on basic car maintenance ('show me / tell me'), the drive (approximately one hour) covers different road types and conditions and includes four reversing exercises, and a controlled (emergency) stop. As part of our full course, after an eyesight test and initial driving assessment, you will receive ten hours of in-car training with one of our ORDIT trainers, a one hour mock test, and a two hour remedial session, all on a one pupil to trainer basis. The final step in the qualification process assesses your ability to teach a pupil how to drive. The format of this test changed in December 2018. It used to involve the trainee instructor having to roleplay, with the examiner playing the role of a learner. Now the test is far more realistic, as an examiner will sit in the back of you giving a real life lesson to a learner, and assess your performance against the criteria set out in the National Standards for driver and rider training. As part of our full course to prepare for this test you will receive 40 hours of in-car training on a one-to-one (not shared with another trainee) training. We also have on-line training resourses, including case studies, videos, and workbooks. At the end of your Part 3 training you have the option of obtaining a trainee licence, sometimes referred to as a 'pink' licence. This allows you to legally be paid for giving driving instruction to gain experience before sitting the final test. As you will need to have a learner to take with you for your Part 3 test, this will also give you a choice potential candidates. The licence lasts for a maximum of six months and normally only one is granted in the two-year qualifying period. 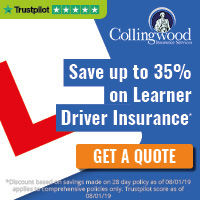 To apply for a trainee license you are legally required to take at least 40 hours of Part 3 training before hand, plus whilst on a Trainee Licence you are legally required to undertake at least a further 20 hours of training, or have 20% of lessons you provide supervised by another fully qualified ADI. You must also be sponsored by another ADI or driving school. ELITE offer this option under our franchise service. Different people develop in different ways. Some will benefit from a trainee licence, and some people are more suited to go straight to test. Depending on how you progress, advice will be given as to whether the trainee licence is going to be a good option for you. The training course can be taken as intensively or spread out as required, but DVSA rules state that you MUST become fully qualified within 2 years of passing the Part 1 test. To benefit from the reduced hourly rate, courses must be paid for in advance. Our pay-as-you-train option allows you to spread to cost of training, but also gives you flexibility in the amount of training you take. You will need to provide a suitable vehicle for the Part 2 and Part 3 tests; you can hire one from us for our normal driving test fee of £85, which will include a 1 hour coaching session prior to the test to familiarise yourself with the vehicle. * These figures are subject to change by the DVSA. For more information or to arrange to come and meet us and have a chat about it over a coffee contact us here. Are you wondering what our previous trainees think?